CalChamber Policy Advocate Sara Boot details for the Senate Judiciary Committee on June 26 some of the problems the business community has identified with AB 375 (Chau; D-Monterey Park/Hertzberg ; D-Van Nuys), the privacy bill enacted to prevent a costly battle against an initiative proposal aimed at the November ballot. The initiative backer withdrew his proposal when AB 375 was signed. 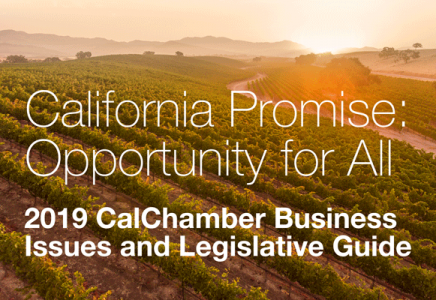 The CalChamber is seeking suggestions for the designated clean-up legislation, former job killer SB 1121 (Dodd; D-Napa).